01142013_Becherer_Egypt002: Global News Events: Global News Portfolio: New Orleans based Photojournalist covering the Deep South and beyond. CAIRO, EGYPT. 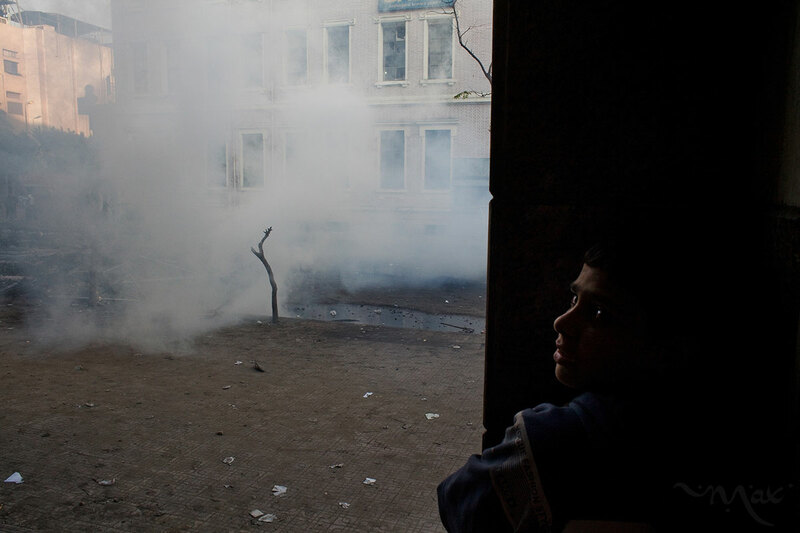 A boy hides behind a doorway after protestors fled advancing security forces who fired tear gas against protestors near the Interior Ministry in Cairo, Egypt on Saturday February 4, 2012. Protestors and police continued street clashes in the Egyptian capital following a deadly soccer riot that left 74 people dead and angered Egyptians over the lack of security.